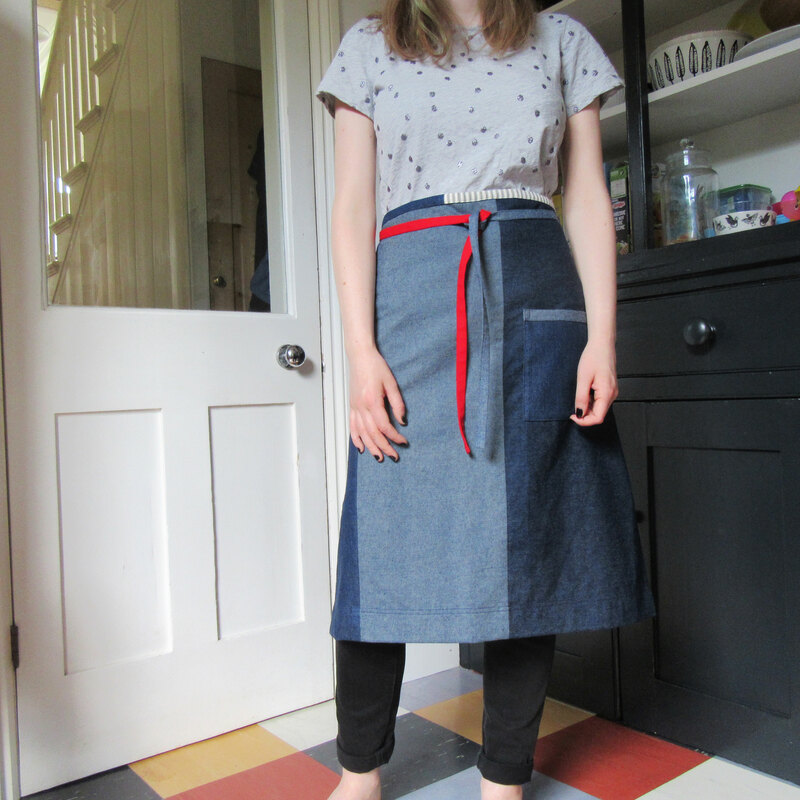 I listed a new apron range on Etsy today! 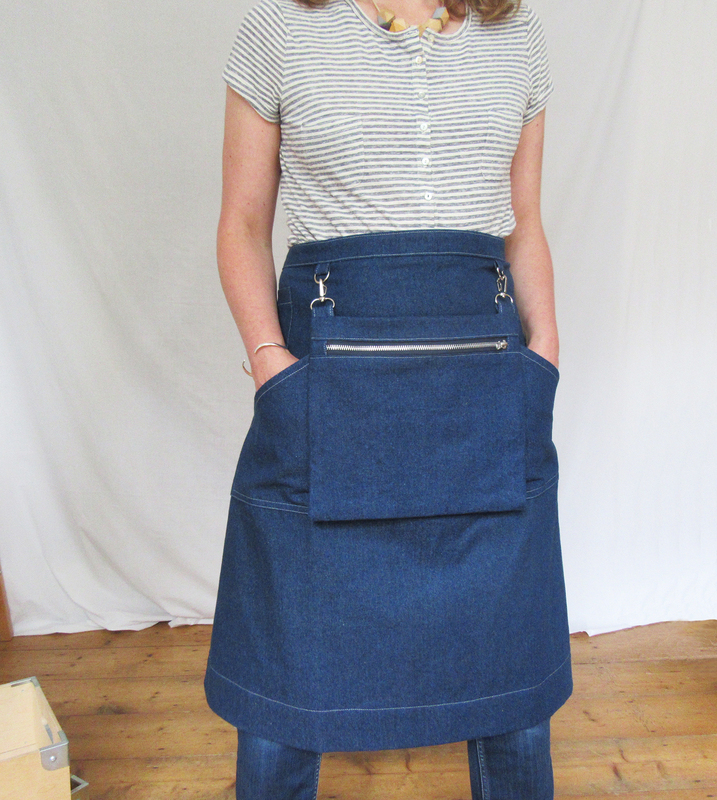 Individual and unusual aprons pieced together from offcuts of denim and other cotton fabrics left from making the aprons in the In The Making range – taking inspiration from Japanese Boro clothing and vintage French and American rustic aprons, which were made from collected fabric scraps and usuable parts of worn out clothing. 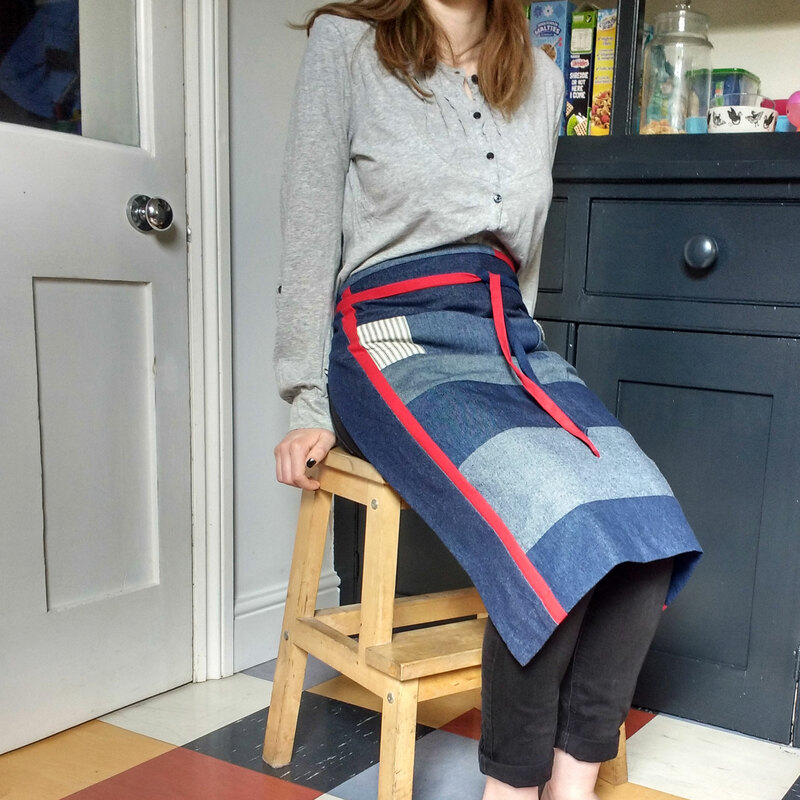 I laid bits of fabric out on a big table and pieced each apron together like a jigsaw, balancing the different blue denim tones and complementing with contrasting ticking and red canvas. 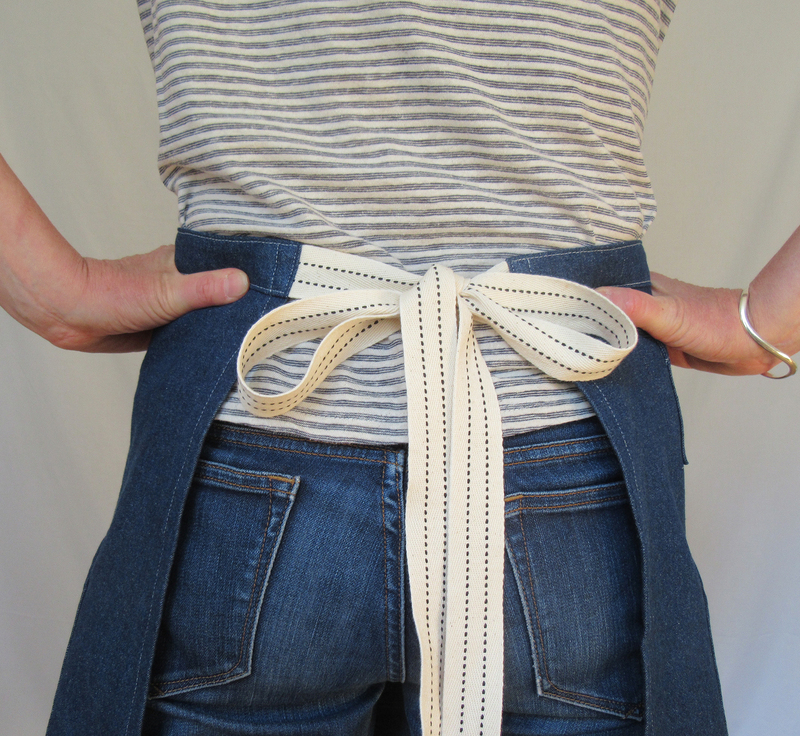 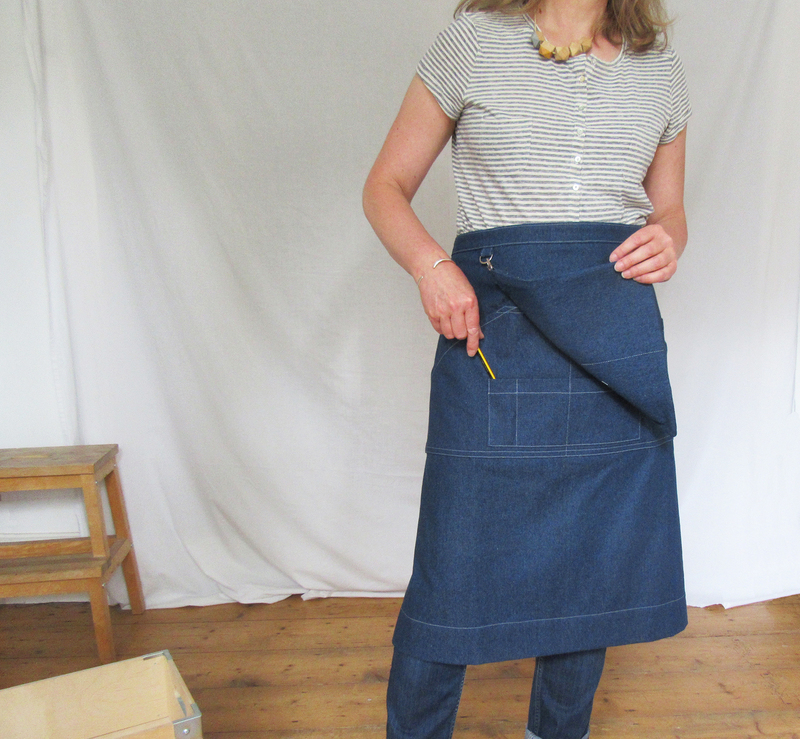 This entry was posted in New aprons, News and tagged Aprons for Makers, Boro style apron, denim apron, Etsy, In The Making - aprons, Lisa Bennett, Making, No16 apron, work apron on May 21, 2018 by lisabenn. 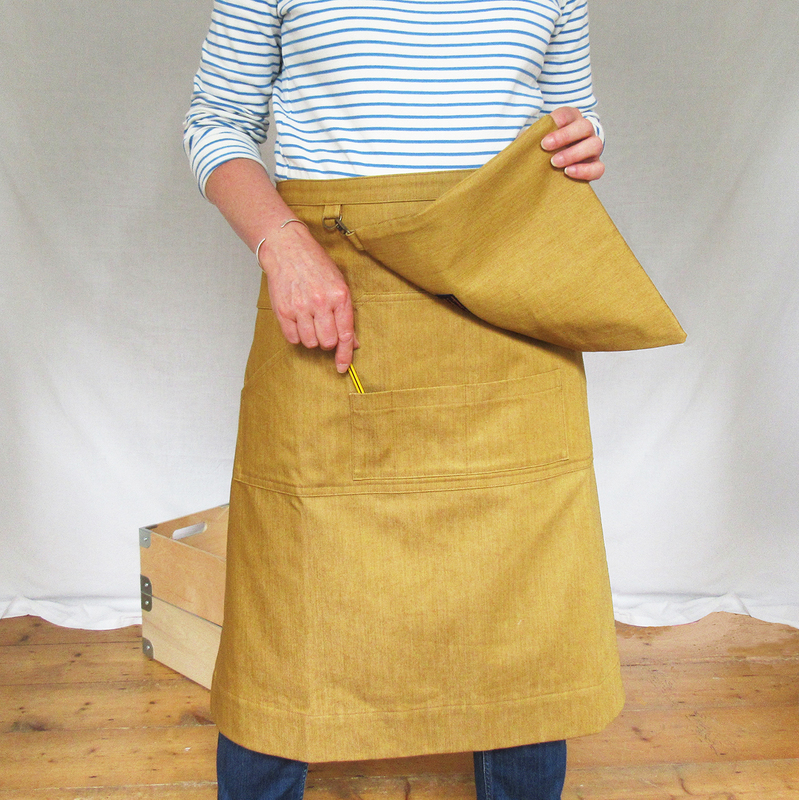 I am featured on the Meet The Maker blog at the MADE + GOOD website today! 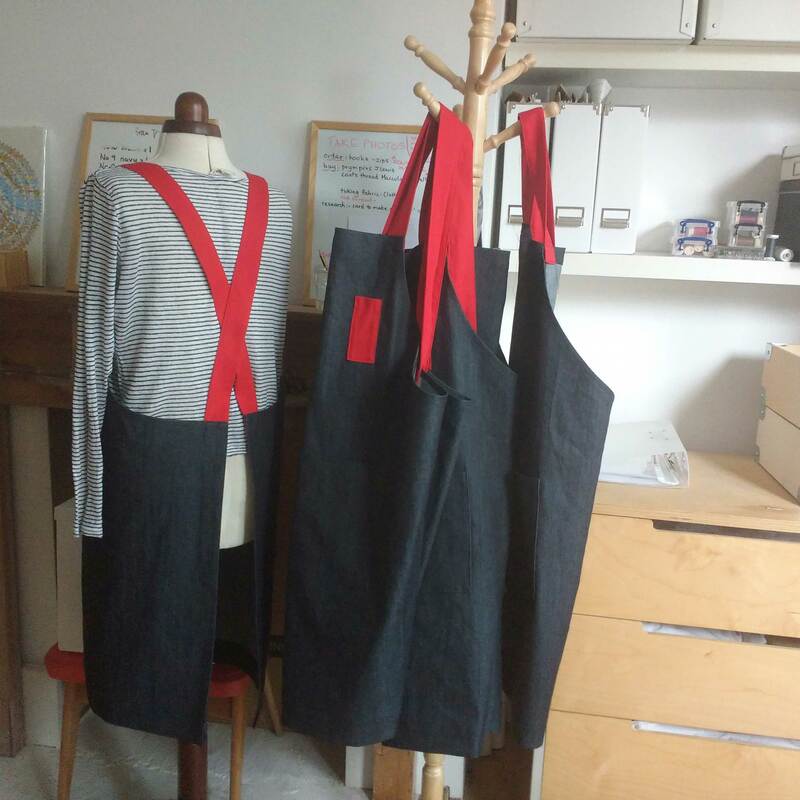 This entry was posted in News and tagged Aprons for Makers, In The Making - aprons, interview, Lisa Bennett, Made + Good, makers interview, Studio on April 16, 2018 by lisabenn. 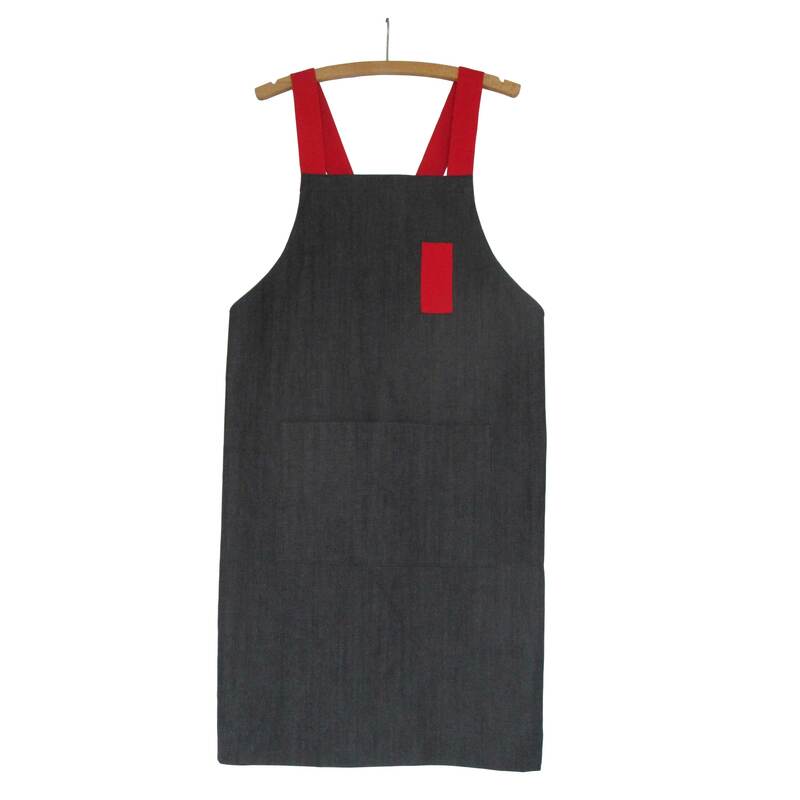 Folksy have included two of my aprons on their ‘Valentine Ideas for Him’ gift guide! 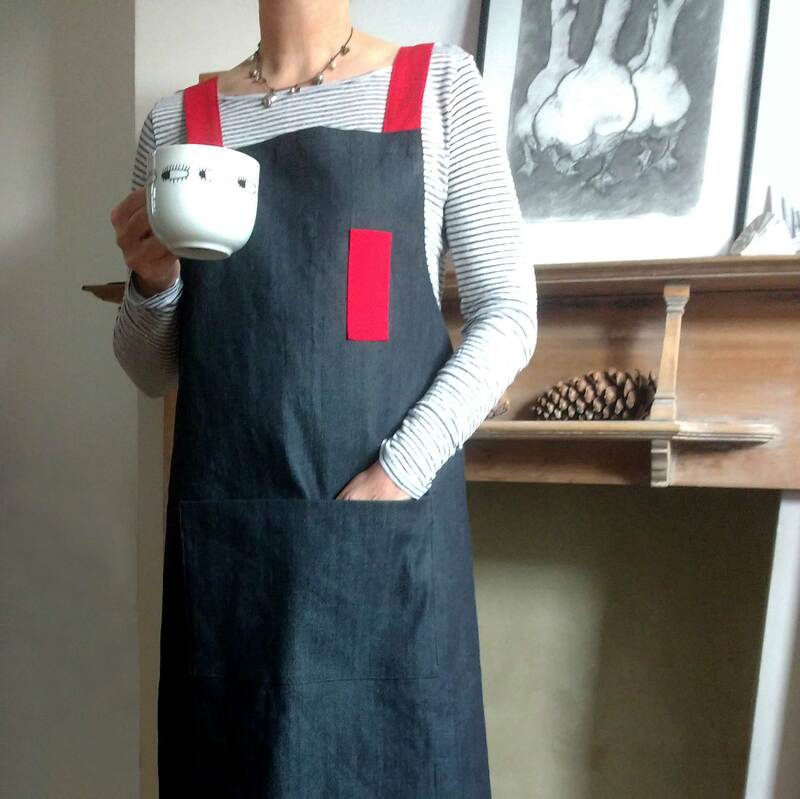 This entry was posted in News and tagged adjustable apron, apron, Aprons for Makers, denim apron, Folksy, In The Making - aprons, Lisa Bennett, woodwork apron, work apron on January 27, 2018 by lisabenn. 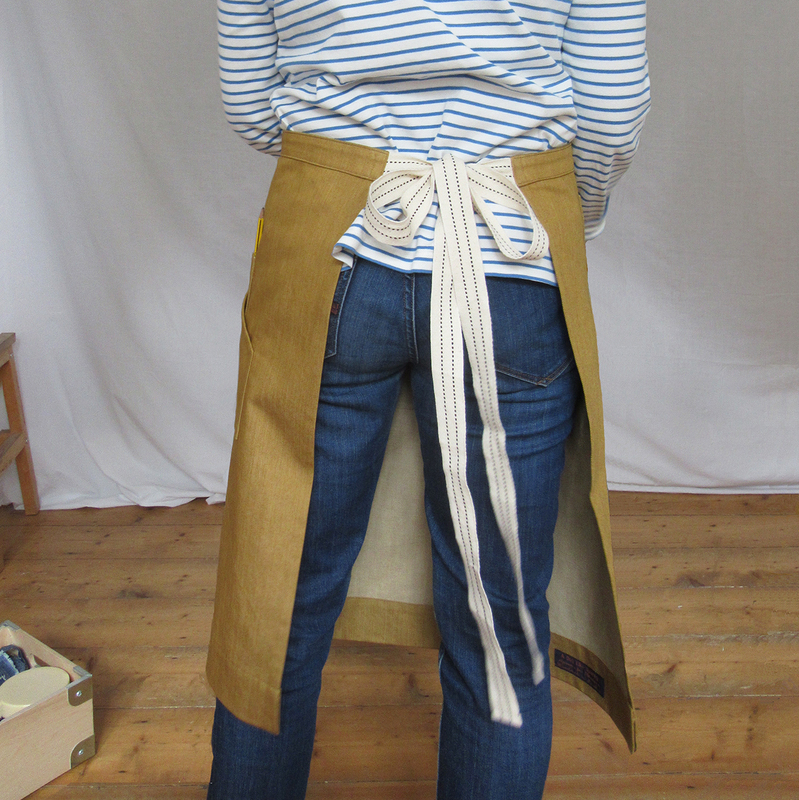 Today was a bit momentus, I changed the shop name from A Dog Like Sparky to ‘IN THE MAKING – aprons’. 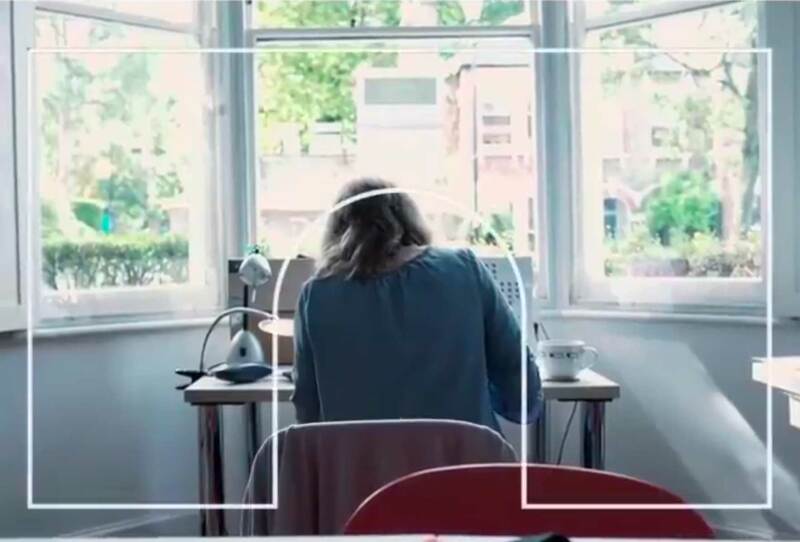 I’ve been pondering it for a while. 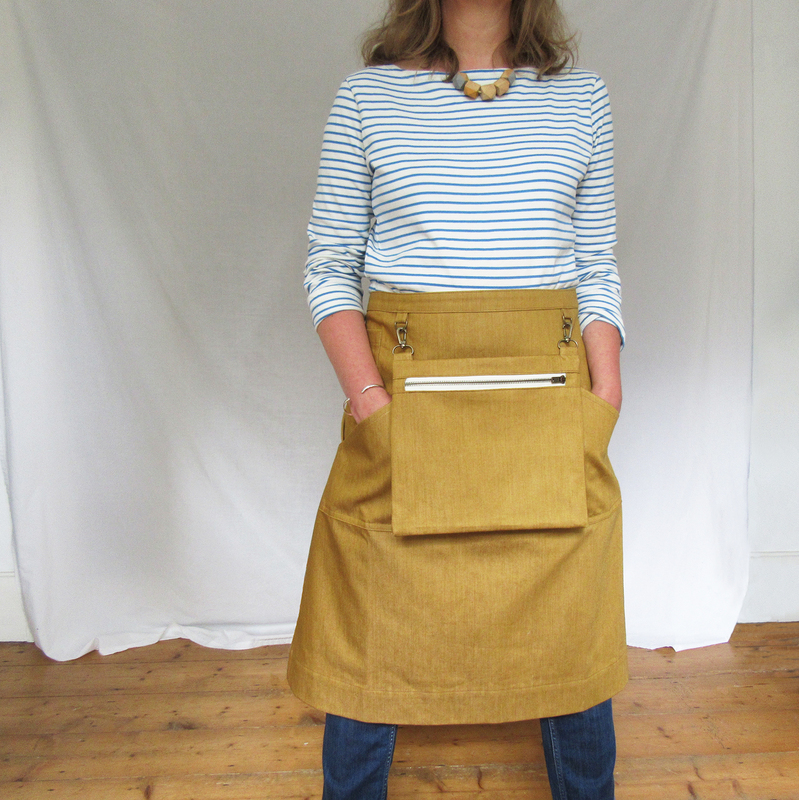 The shop range has changed, focussing almost entirely on women/men creatives rather than children. 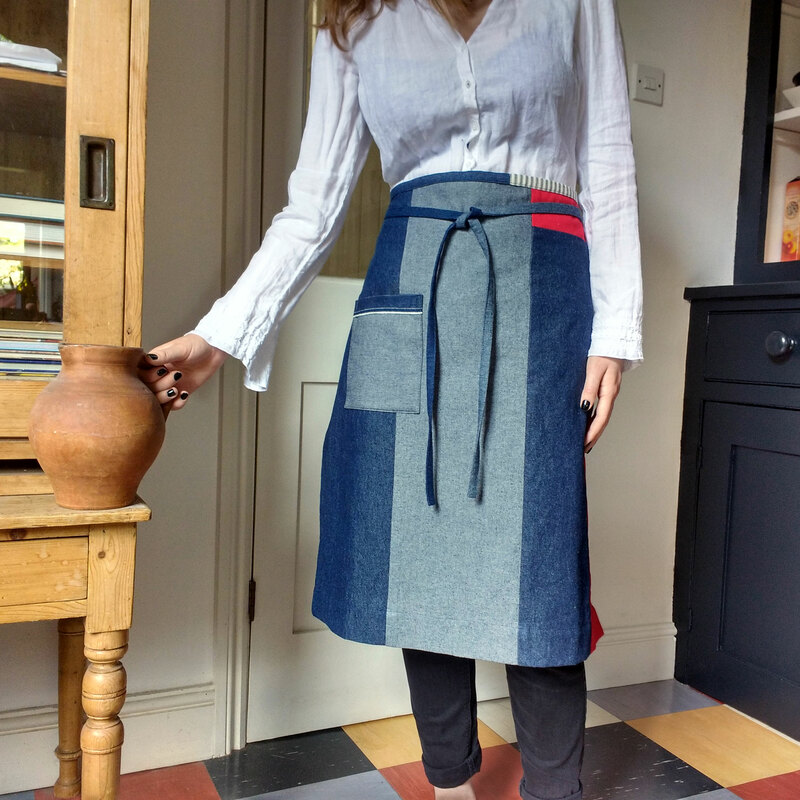 Things came to a head when an apron/linens business lifted my entire tagline word for word, for their new denim apron’s Christmas social media campaign, then a magazine used my ‘Aprons for Makers’ title for a Christmas apron feature (really girly ones!). 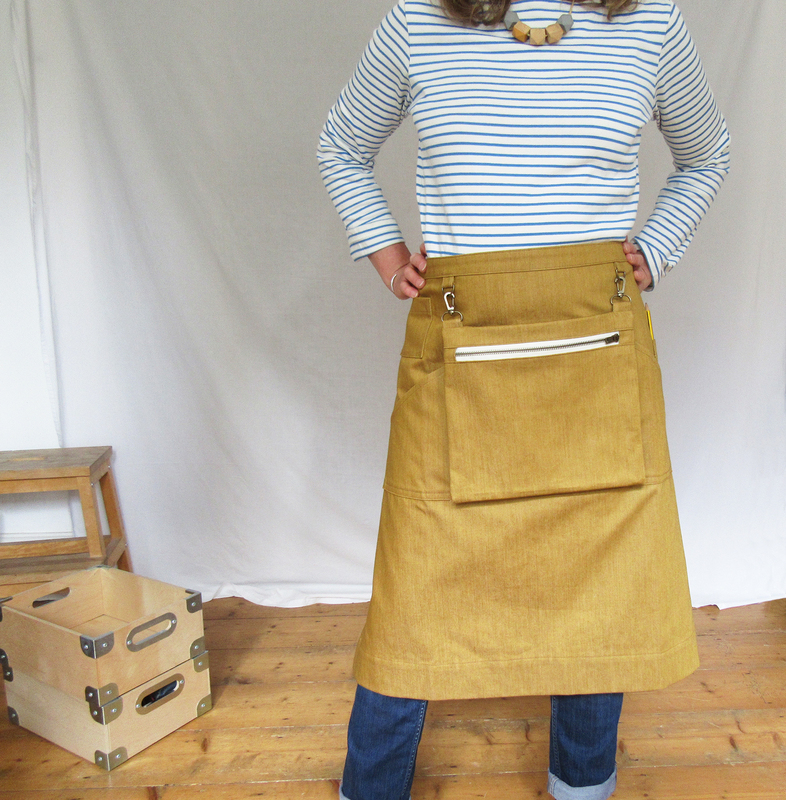 A change was needed, a shorter shop name that gives you an idea what I do! 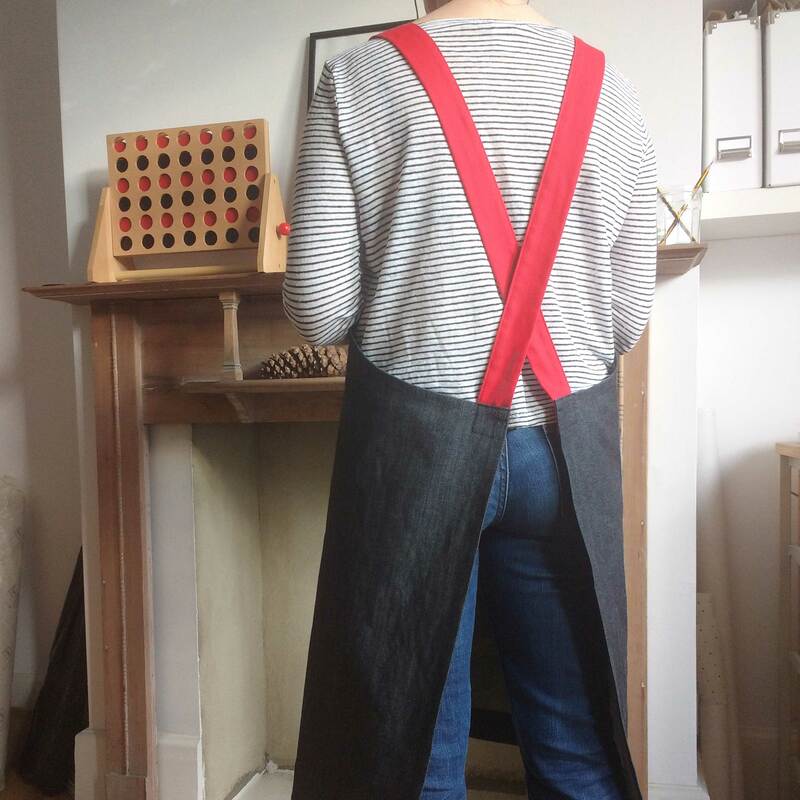 It’s amazing how many changes have to be made across the Folksy and Etsy shops and social media…things that have been built up gradually over the last 4 years. 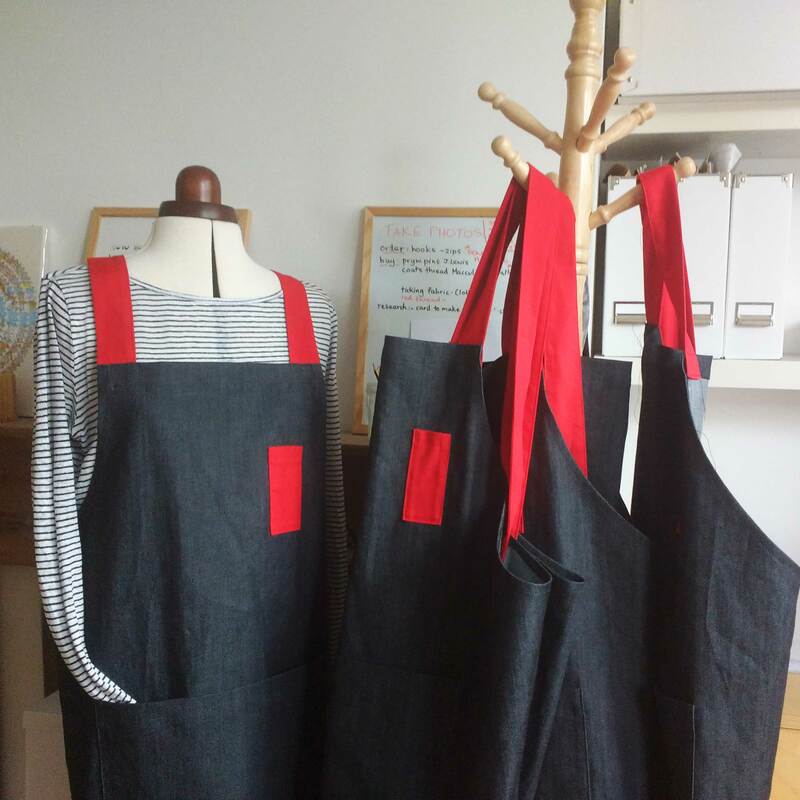 This entry was posted in News and tagged A Dog Like Sparky, aprons, Aprons for Makers, In The Making, In The Making - aprons, Lisa Bennett on January 24, 2018 by lisabenn. 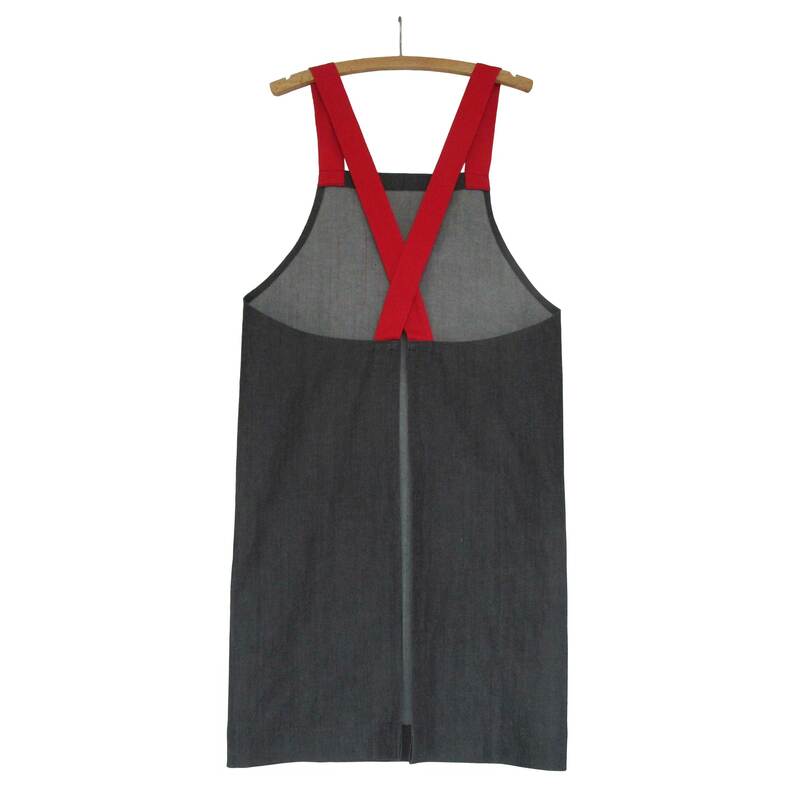 Charcoal denim and red canvas cross back apron has gone on sale on Etsy amd Folksy today. 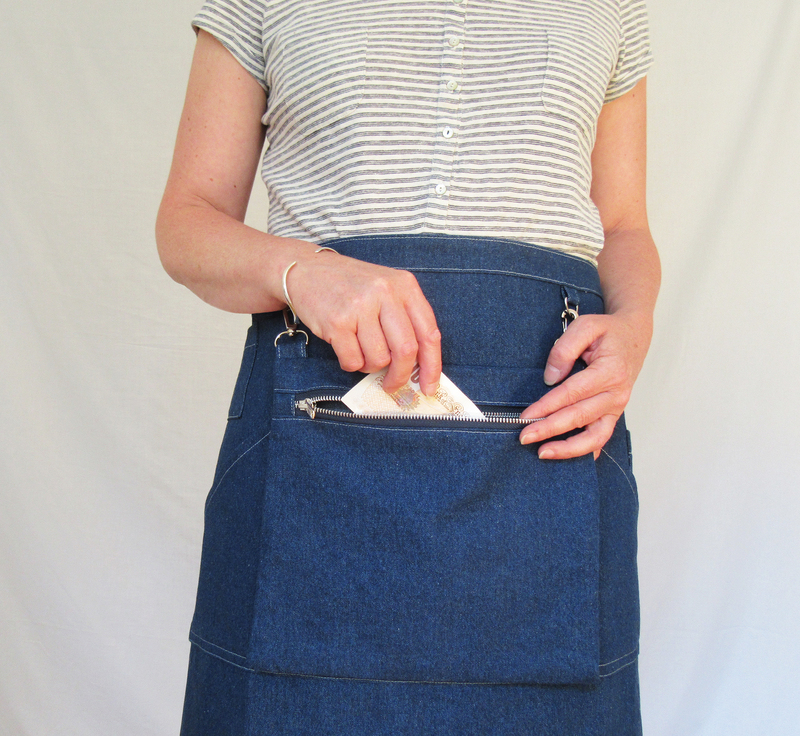 This entry was posted in New aprons, News and tagged A Dog Like Sparky, apron, Aprons for Makers, Crossback apron, denim apron, Etsy, Folksy, Lisa Bennett, new apron, No 4:3, work apron on December 14, 2017 by lisabenn. 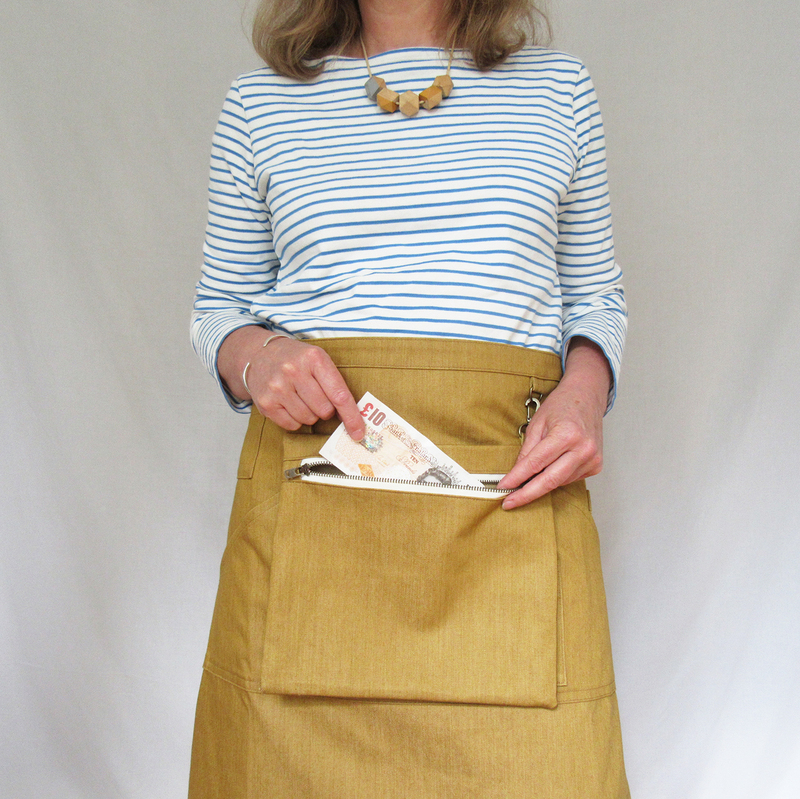 One of my aprons (ochre No8) was featured on the Folksy blog yesterday! 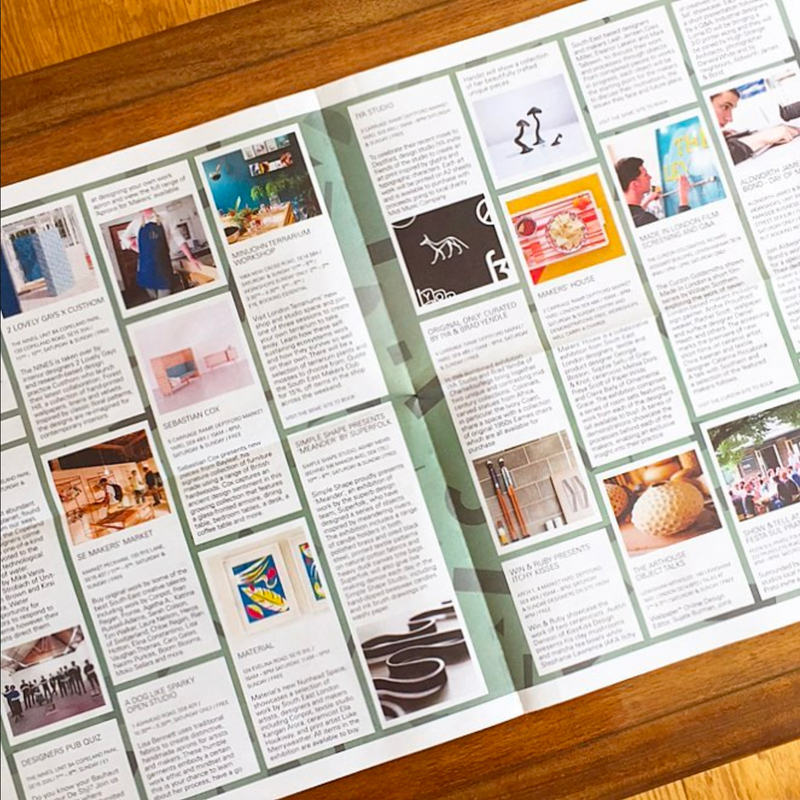 It is a ‘Gifts for Men’ feature selected by Andrew Cunningham East Design. 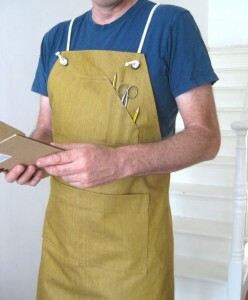 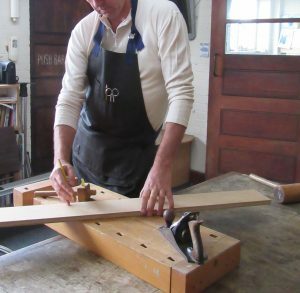 A photo of the brown No10 woodwork apron ais a also in the ad! 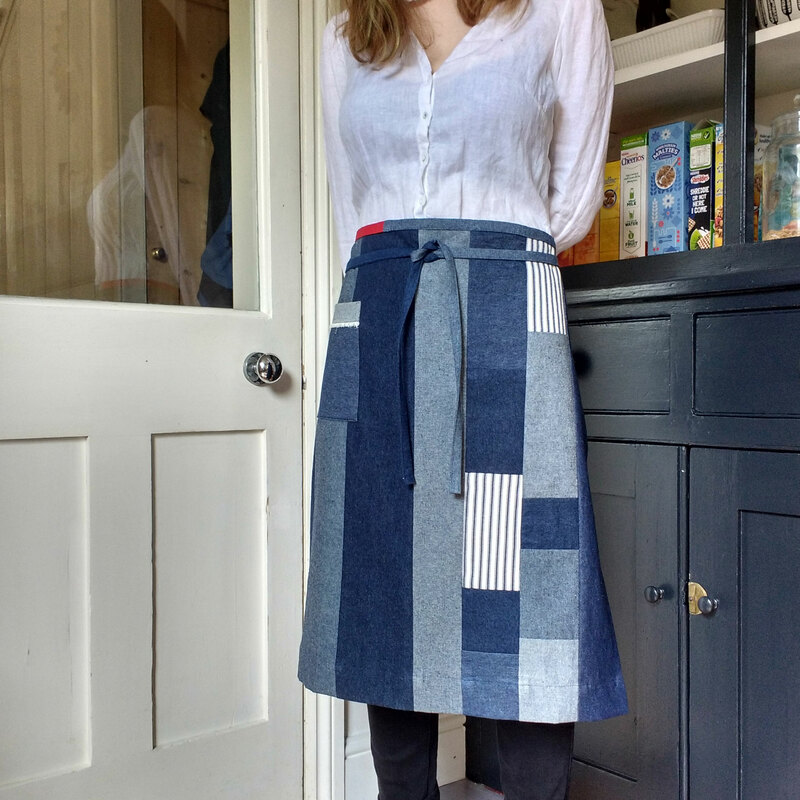 This entry was posted in News and tagged A Dog Like Sparky, adjustable apron, Aprons for Makers, Folksy blog, Folksy Gifts for Men, Lisa Bennett on December 14, 2017 by lisabenn.